Some great Homburgs/Lobbias posted today Stefan, particularly this last one. Super colour. Thanks, Steve. On more taking up space! Number one of a bunch of new additions I picked up yesterday. Echter Borsalino lobbia in Dattero colour. 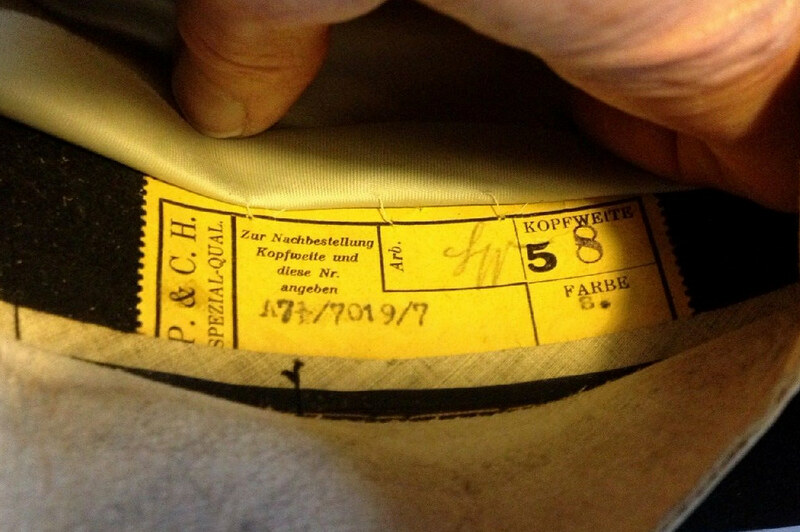 Size 6, which is 7 3/8 American. 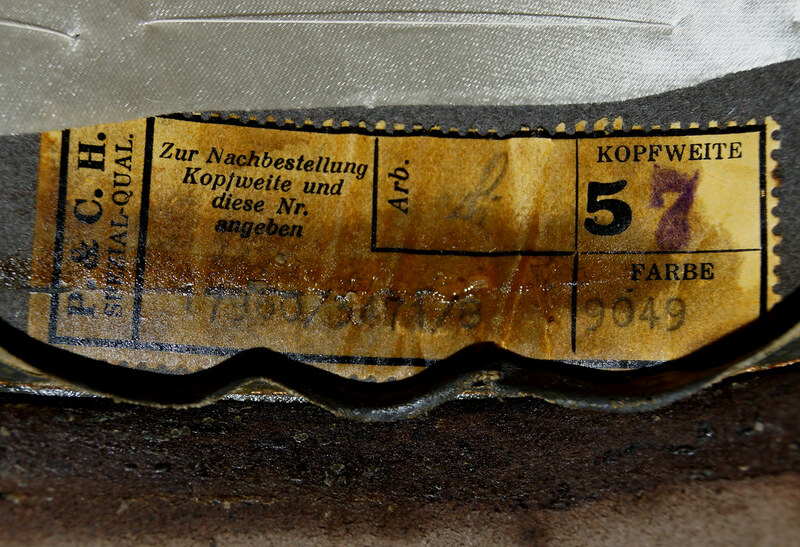 Model Gulaela, export Qualität, with the brim at 6cm and the crown 11cm at the pinch. 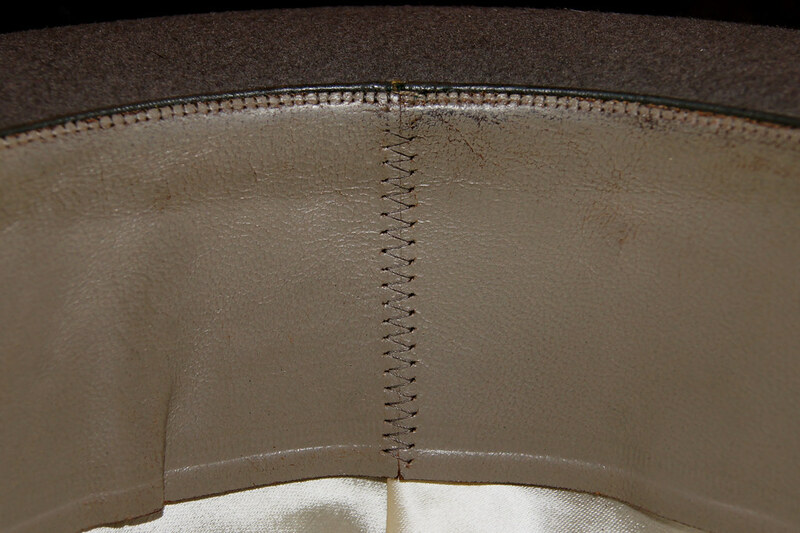 Some discoloration on the brim binding can be seen in the pics, but other than that it's in great condition. Because it's not my size it will go to the classifieds (PM me if interested). busmatt, M Hatman, Tukwila and 2 others like this. 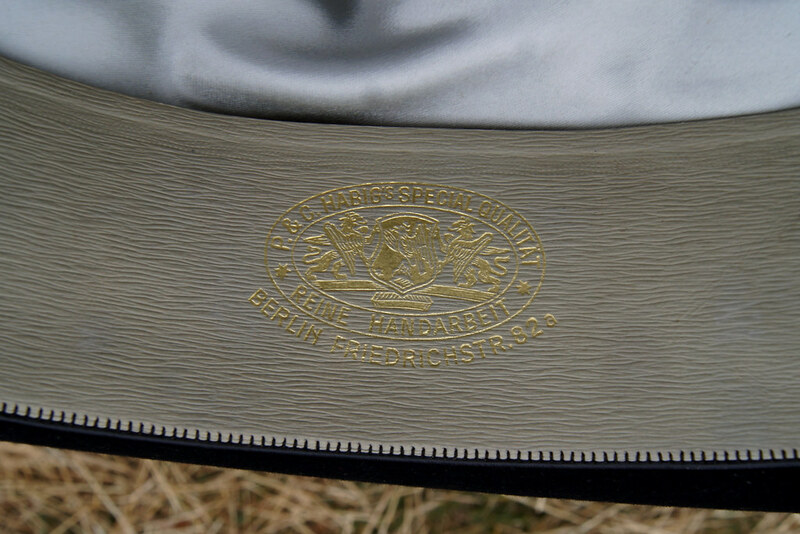 Next is this lovely coloured Mayser Spezial homburg in a size 58, or 7 1/4 American. The label doesn't give the colour name, but it's a nice mid-to-dark grey that seems to change hue under different lighting. 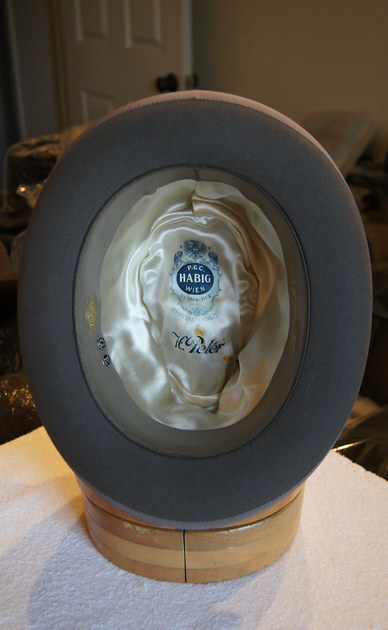 Brim sits at 5,5cm and the crown at 11,5cm at the center dent. 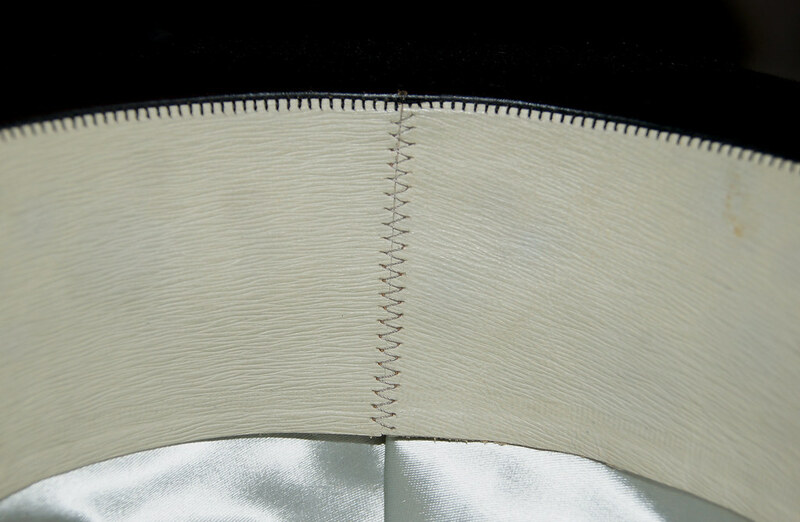 Liner is still stitched in, which puts it in the fifties. Another one that isn't for me due to size. Off to the classifieds it goes. busmatt, M Hatman, mayserwegener and 4 others like this. 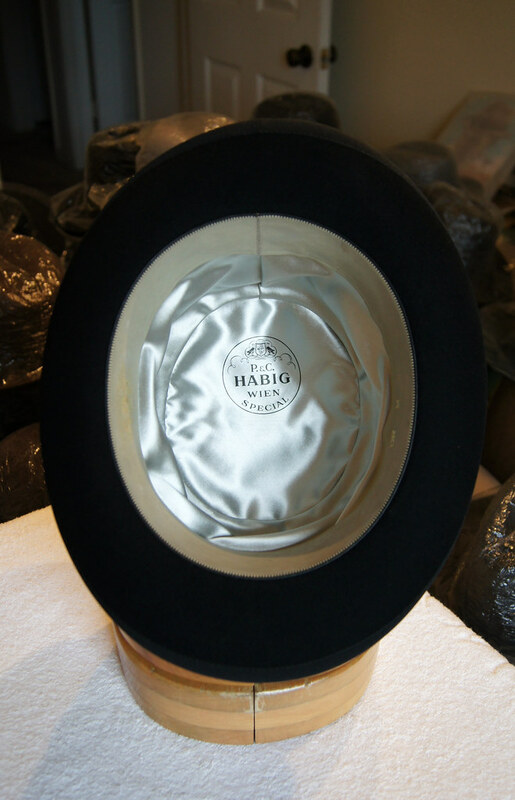 This came as a nice little surprise: an unknown brand (to me at least) with a high quality hat. 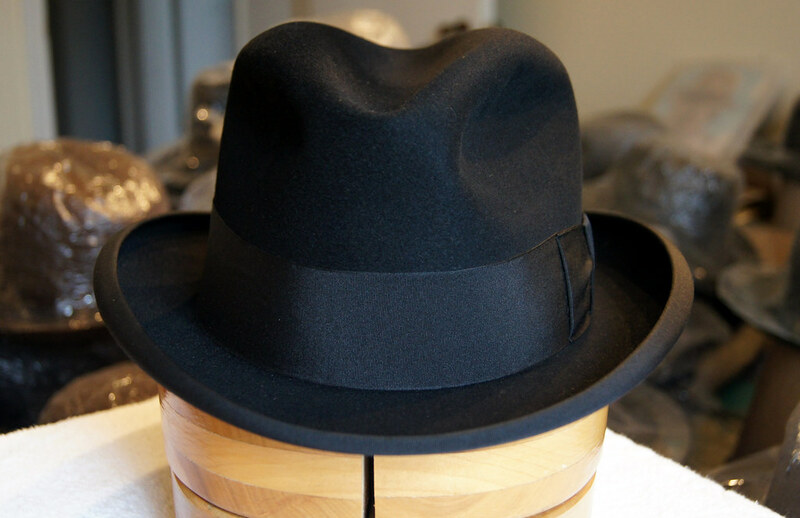 Maviso "Superfine" homburg in blue. 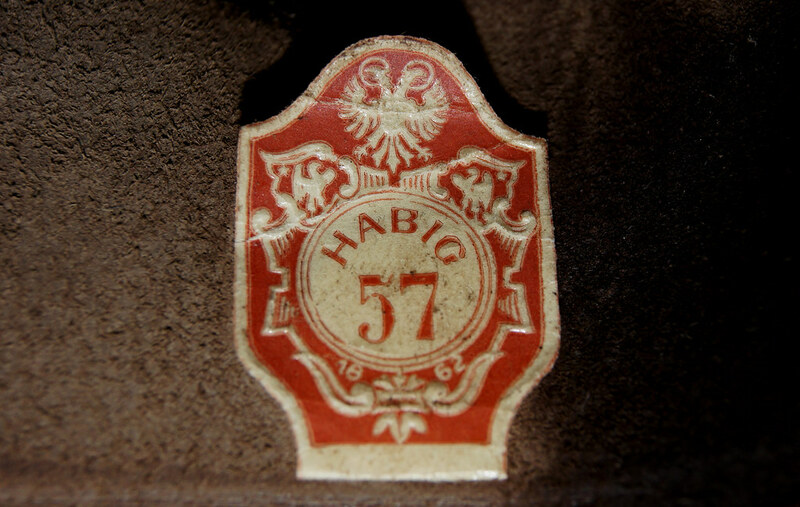 Size 57 (but fits like a perfect 56). 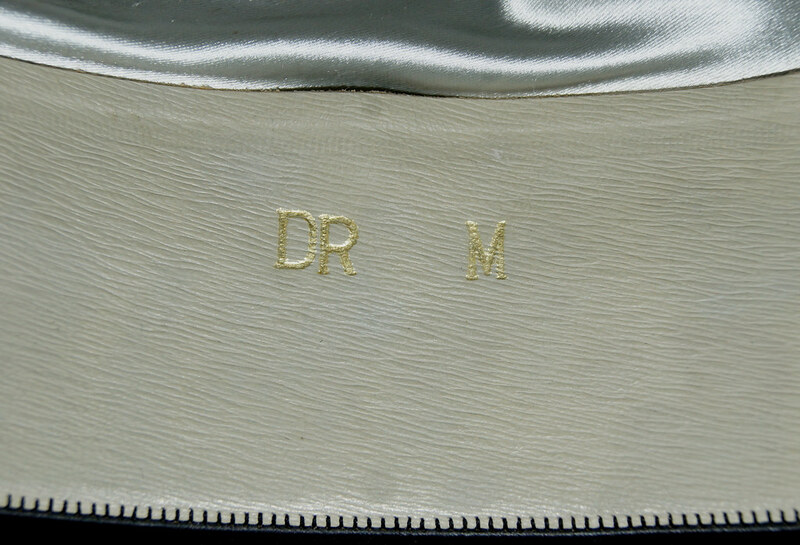 Brim sits at 5,5cm and the crown 11cm at the center dent. 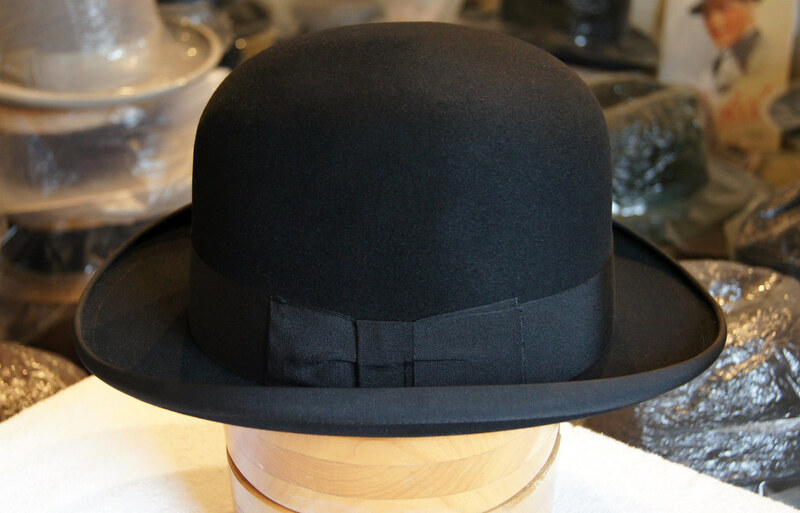 When I'm shopping for hats in these vintage stores I have to wade through masses of black homburgs (the good, the bad and the ugly), which means they were either a very popular model and colour or they are just survivor hats. So hats in other colours jump out at once. 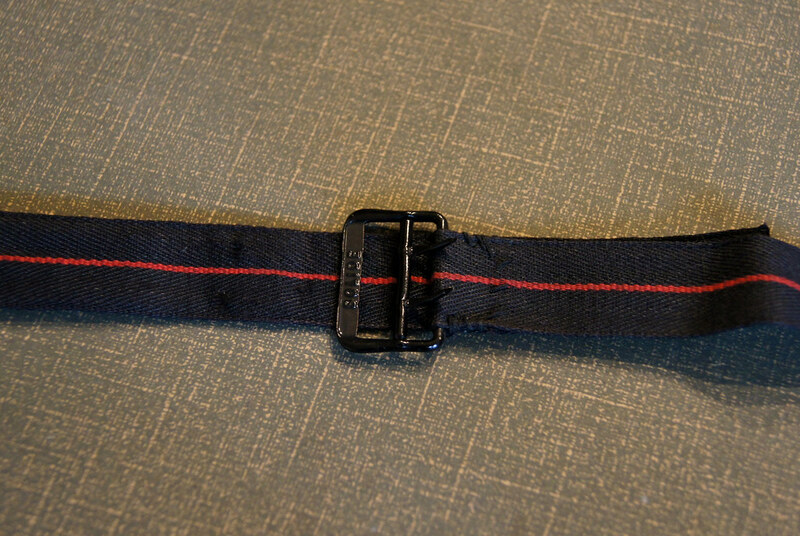 This one did and it's the usual very dark blue. 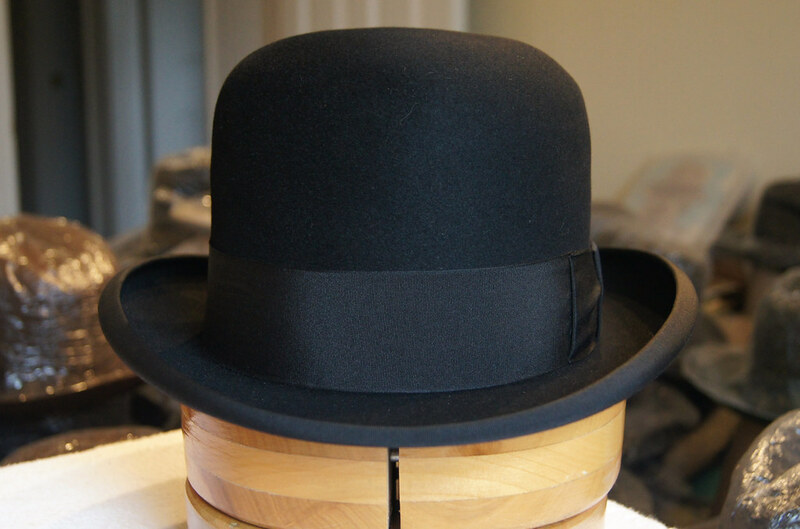 Very high quality felt with a superb hand to it and very good finishing. 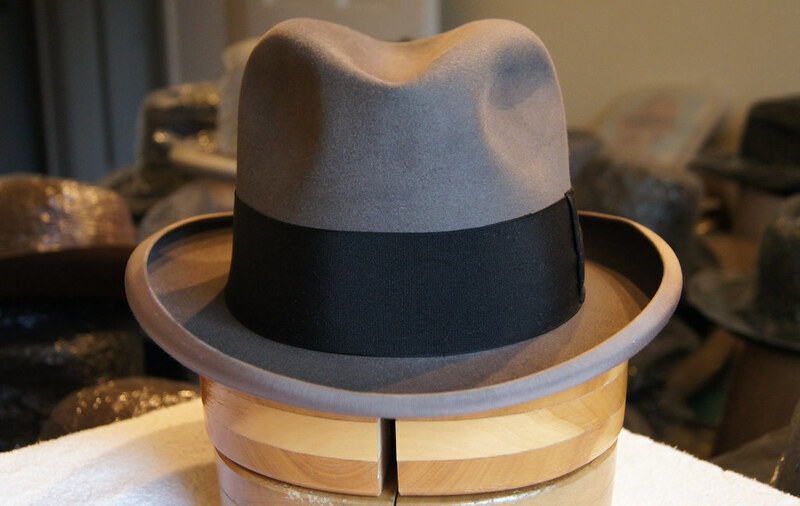 Brim binding still needs a bit of cleaning, but very happy with this one. busmatt, M Hatman, mayserwegener and 5 others like this. Wow! Those are definitely sweet hats! 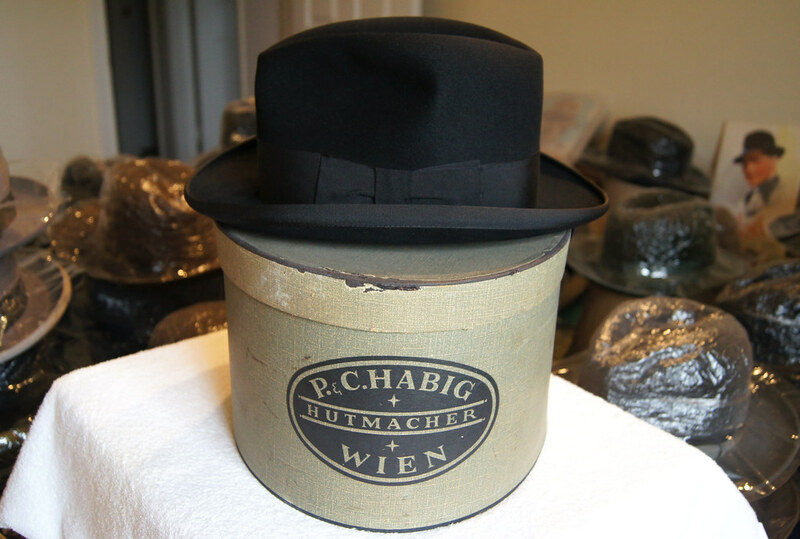 The blue Homburg really catches the eye! 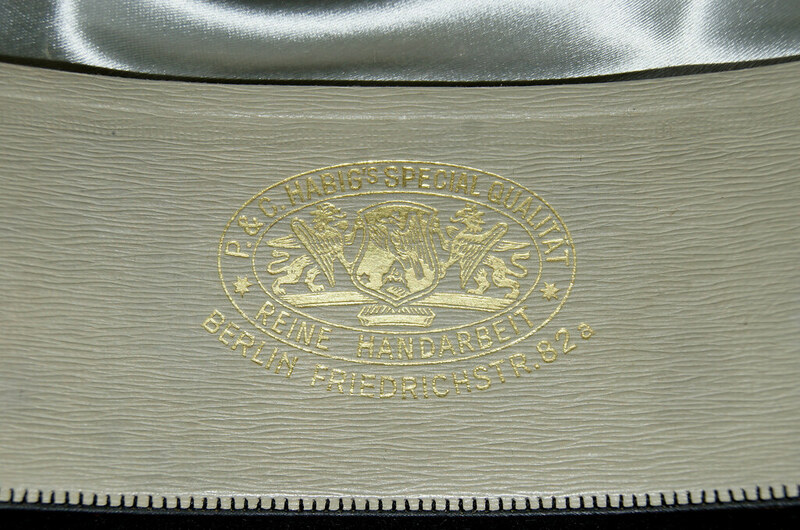 P. & C. Habig Wien "Special", P. & C. Habig's "Special Qualität" Reine Handarbeit Berlin Friedrichstr. 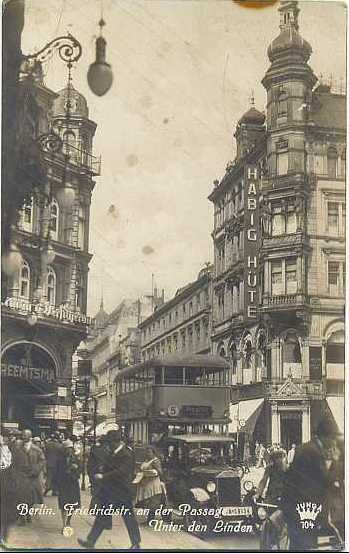 82a, 58cm possibly early 1930s. 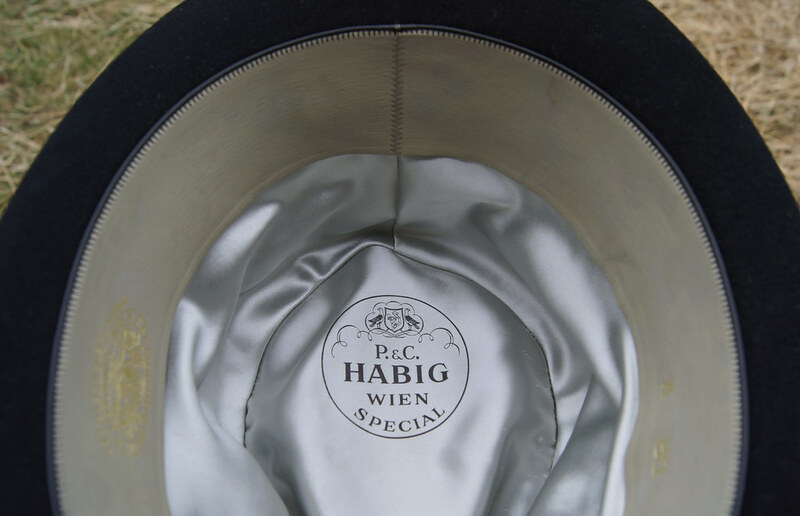 This hat was made specially for the P. & C. Habig Berlin store at Friedrichstrasse 82 which didn't survive WWII. 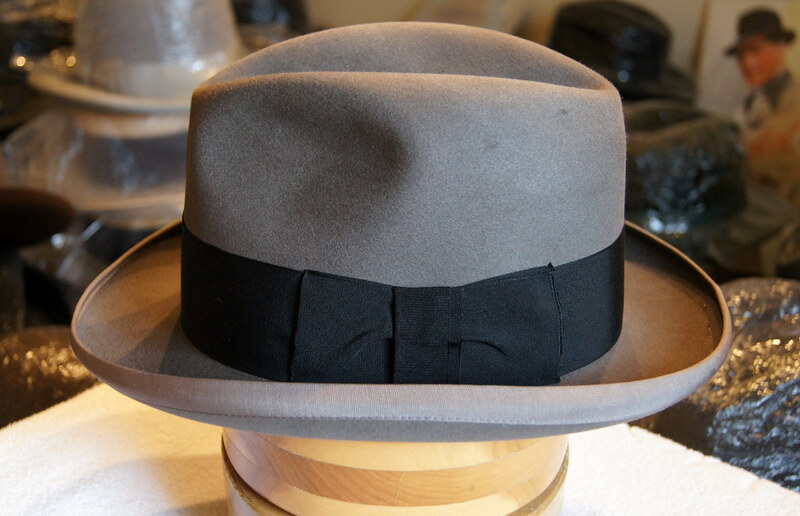 Everything (felt, sweatband, liner, ribbon, workmanship) about this hat is of the highest quality and in excellent condition. 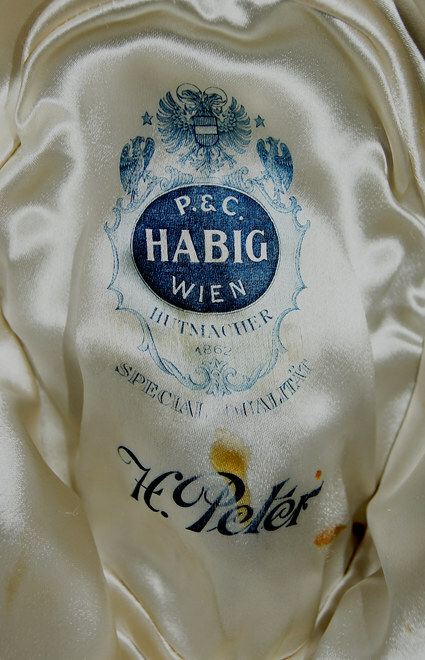 The sweatband is very similar to some P. & C. Habig Wien Silk Top Hats of the same time period. 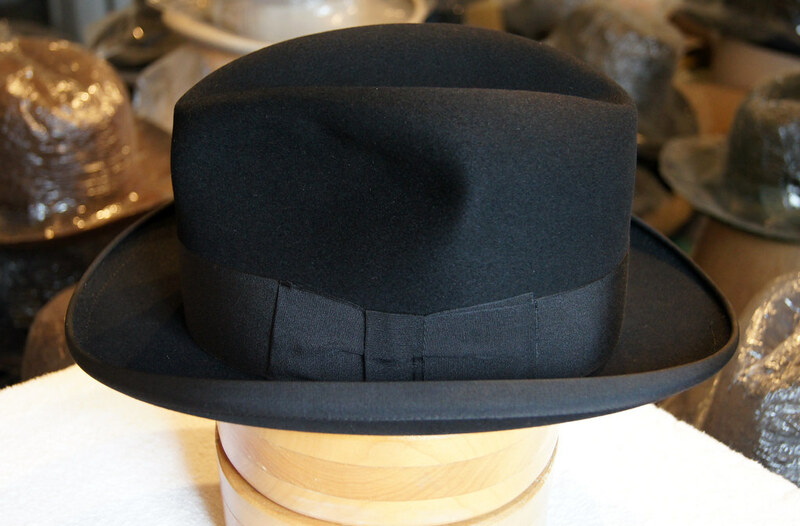 The medium weight black felt has a very soft hand and easily dry creases. 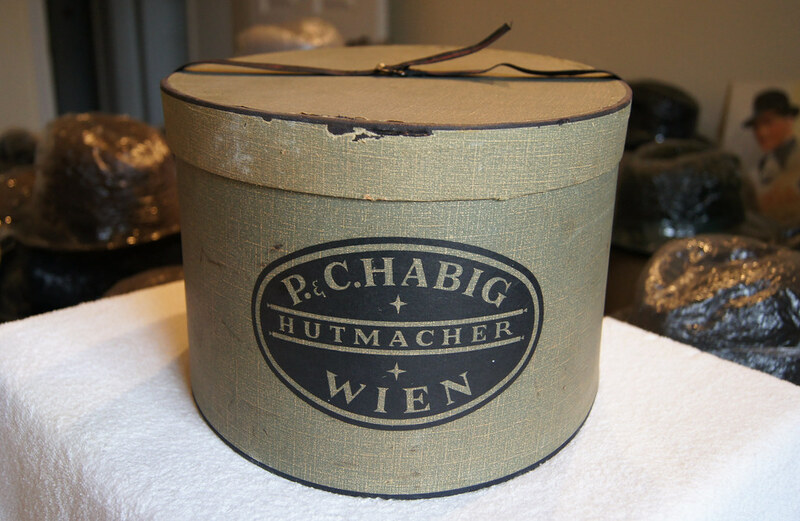 It also came with the original P. & C. Habig "Hutmacher" Wien Hat Box. Rmccamey, Just Daniel, busmatt and 5 others like this. Just because this deserves to be seen, I'll comment again. Great find, Steve! Tukwila and mayserwegener like this. Stefan, Thank you again! I think the natural light photos present it better. Very difficult to photograph properly. 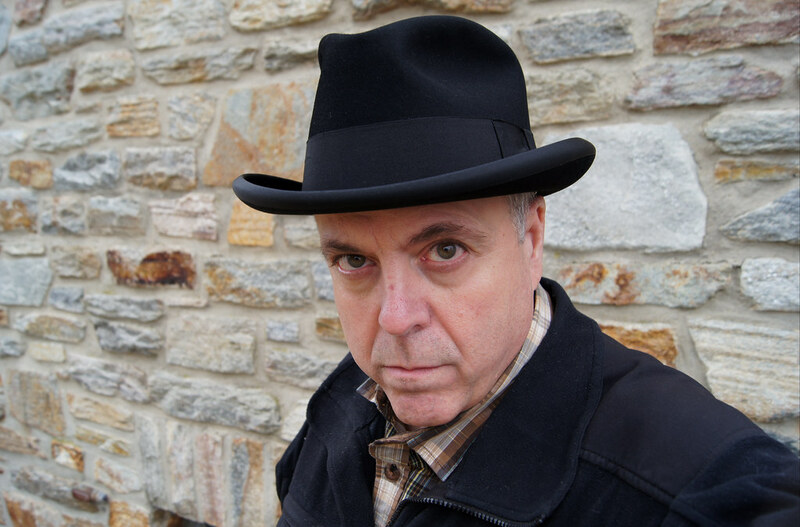 A very stately hat, Steve. Impressive piece! steur, Steve1857, Just Daniel and 4 others like this. 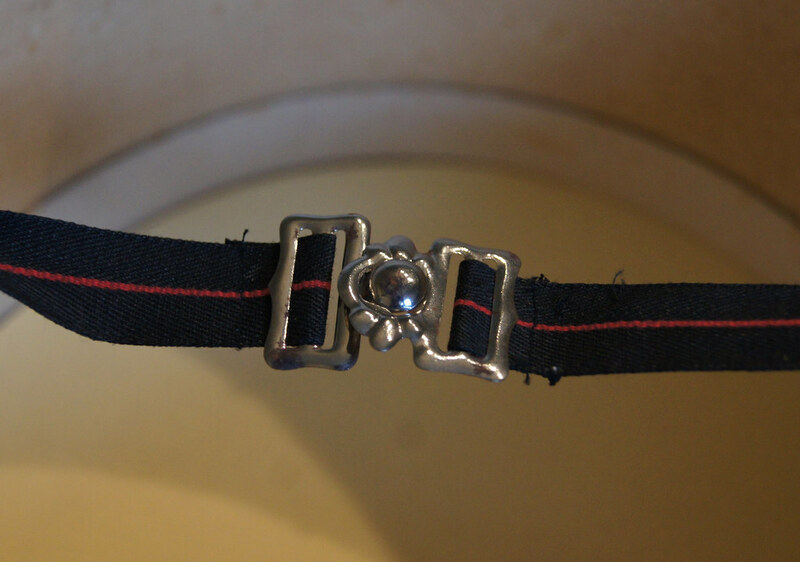 black felt and burgundy silk hatband! Also the shape of the bow is great. steur, RJR and Tukwila like this. 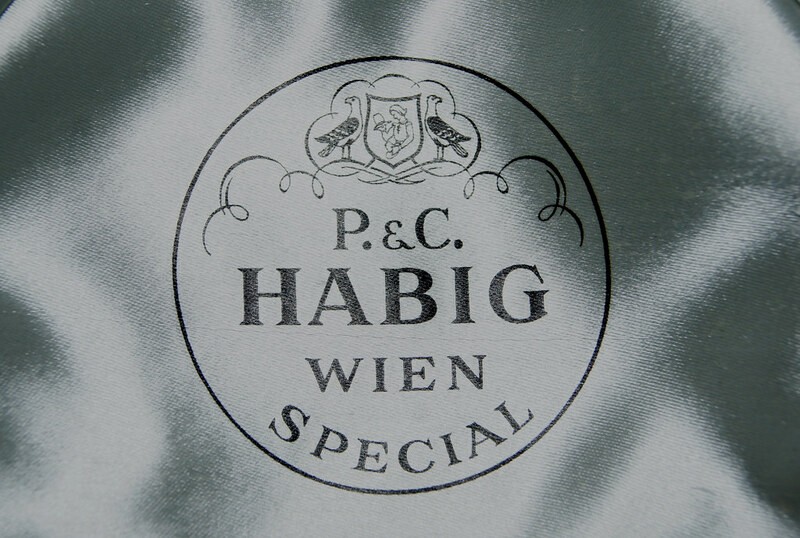 P. & C. Habig Wien "Special Qualität", 57cm possibly late 1920s very early 1930s. 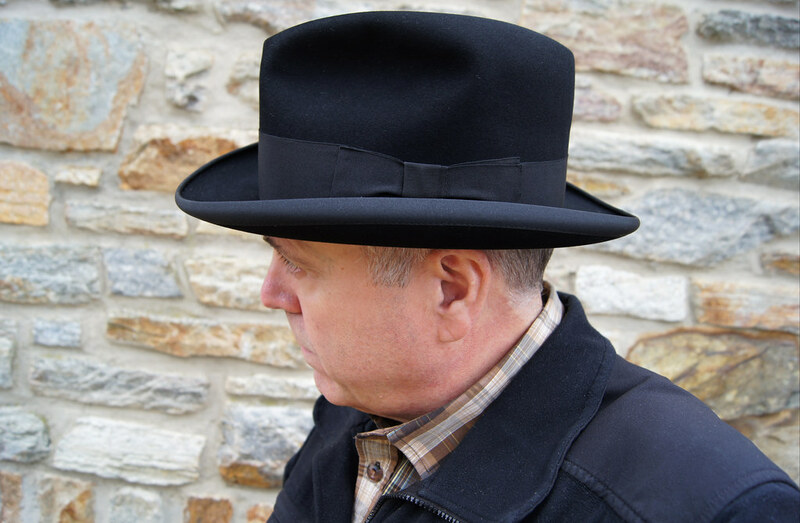 The medium weight felt is really fantastic and easily dry creases. 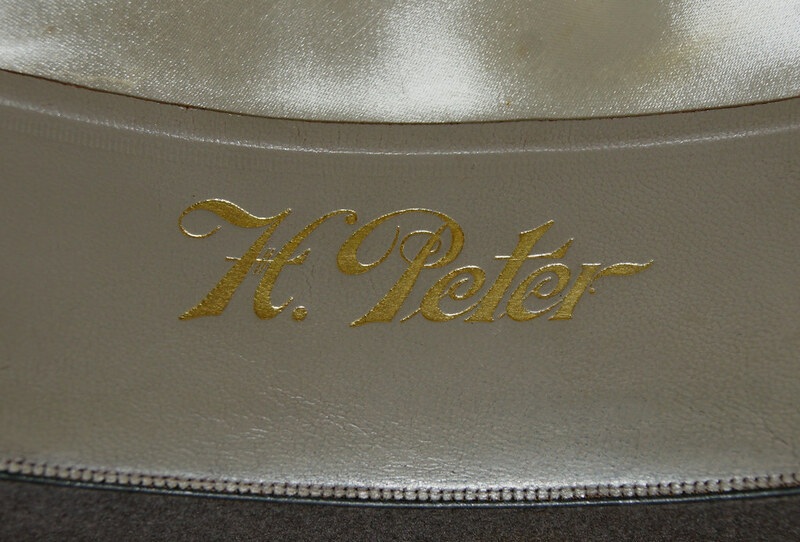 I have no information on H. Peter but I am checking. Mean Eyed Matt, Tukwila, M Hatman and 4 others like this. mayserwegener and Steve1857 like this.